Netflix has released the episode 5 preview trailer for the Korean original series Mr. Sunshine, a 24-episode drama from the creators of the global hit series Goblin and Descendants of the Sun. While all parties continue to search for the missing document, Eugene (Lee Byung-hun) finally comes forward with his true intentions and how he feels about his home country Choseon to Ae-sin (Kim Tae-ri). Hui-seong (Byun Yo-han) meets with his fiancé Ae-sin, while Hina struggles over her meaning of love. Both allowed on Korean soil, the U.S. soldiers go face-to-face with the Japanese soldiers. Based in Shinmiyangyo, or the U.S. expedition to Korea in the late 19th century, Mr. Sunshine tells the story of a Korean boy born into a family of house servants who runs away to board an American warship, later to return to his homeland as a U.S. marine officer. He falls in love with an aristocrat’s daughter and discovers the dark scheme to colonize the country that he once ran away from. 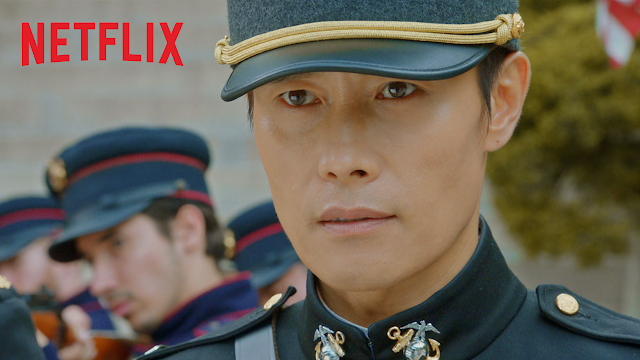 Check out the episodes of Mr. Sunshine only on Netflix. Two new episodes are available every Saturday and Sunday at 10:30 p.m.